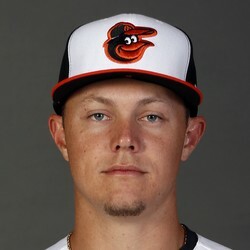 Ryan Mountcastle worked primarily at first base during the first full-team workout at Orioles camp, Jon Meoli of the Baltimore Sun reports. Mountcastle, 22, who has primarily played shortstop and third base in his career, could be used at first base this season. This would be his third position in three years for the former first round pick. His offense is what will carry him for playing time as he slashed .297/.341/.464 with 13 homers in Double-A Bowie last season.